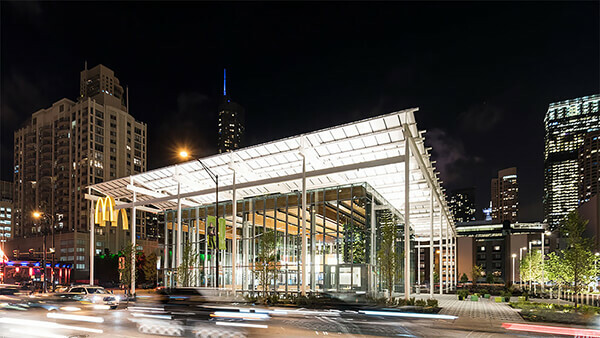 Rock N Roll McDonald in Chicago, the flagship for the chain has been demolished in 2017 and its replacement – a steel and timber structure was opened on 9 August 2018. 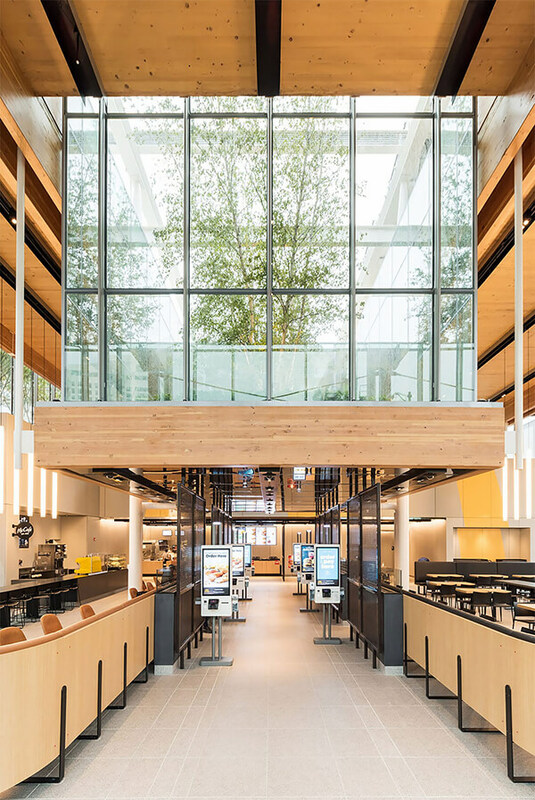 Designed by local firm Ross Barney Architects, this resturant just don’t like any other McDonalds. 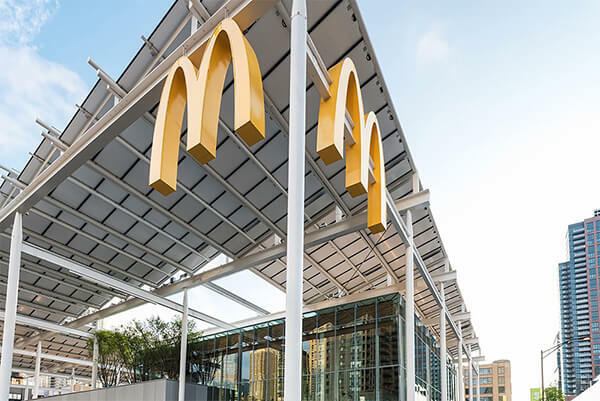 The previous rock memorabilia and giant yellow arches are replaced by ordering kiosks, living plant walls and solar panels. 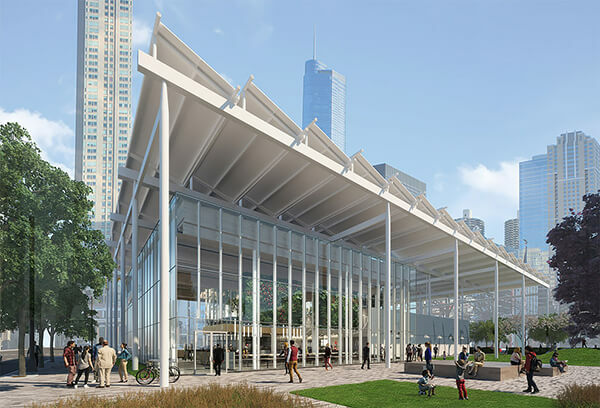 The new design aims to be more pedestrian-friendly — there will be less parking — and more energy-efficient and environmentally friendly throughout. Over 70 trees are planted at ground level across the plot, including native and drought-resilient species interspersed between permeable pavers, to minimise irrigation and reduce storm-water runoff. 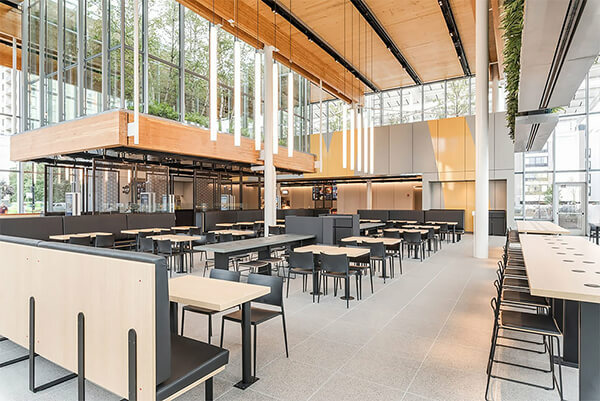 In the centre of the building sits a raised garden of ferns and white birch trees, housed within a glazed volume. 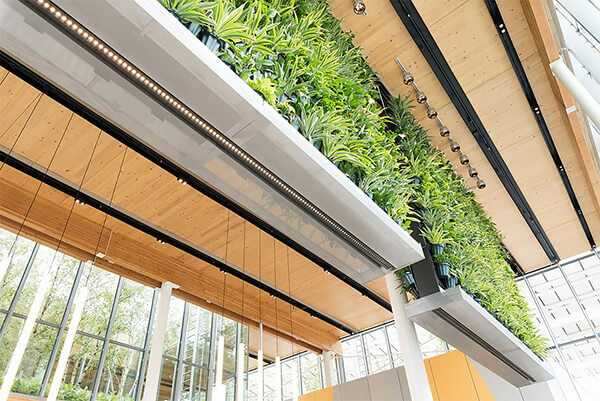 Greenery also covers portions of the roof, while green walls are suspended from the ceiling inside. Do you like such McDonald design? 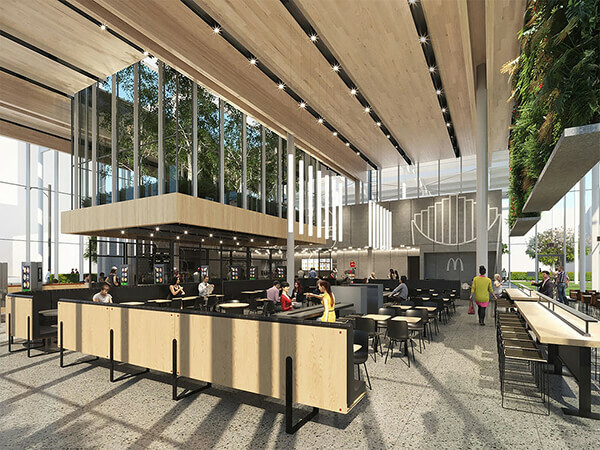 It does look like a bit less McDonald but personally, I love the new interior.